Anirudh's next is going to release today! Thalaivar Mass Felt Across Kollywood - The Lingaa Teaser ! 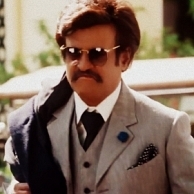 Lingaa Teaser Is Promising ! Just In - Lingaa's Audio Launch Date!! People looking for online information on A.R. Rahman, Ks ravikumar, Lingaa, Lingaa audio launch, Lingaa music launch, Rajinikanth, Superstar will find this news story useful.